Here at "Shipping To FBA" Services, we provide extensive services to our valued customers who desire shipping to Italy FBA. Italy Fulfillment by Amazon locations:MXP5 Amazon Italia Logistica S.r.l Strada Dogana Po, 2U 29015 Castel San Giovanni (PC)，Italy. City ： Castel San Giovanni Province of Piacenza zip : 2U 290 ( FBA ). 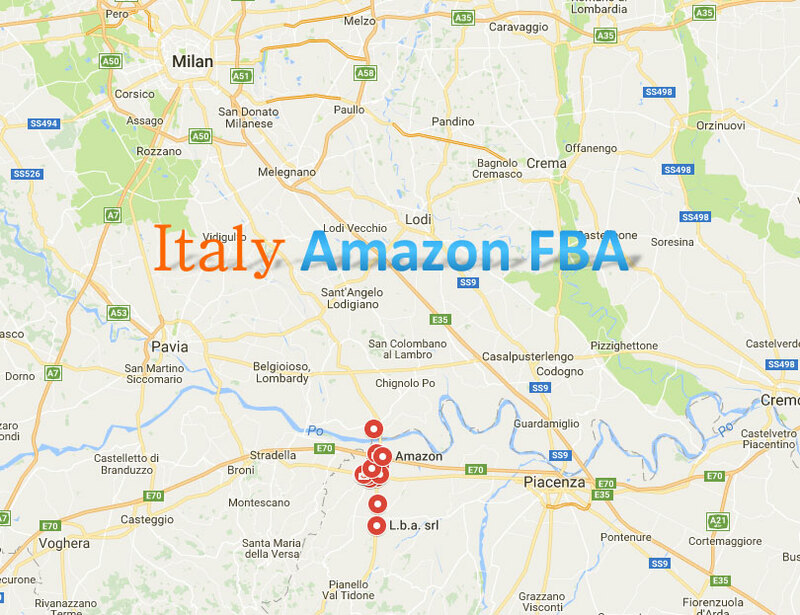 FBA "Shipping To FBA" Services Provides shipping to the Italy FBA services for Amazon FBA Sellers. Our warehouse is one of the largest FBA Preparation and Forwarding facility. Our warehouse crew has handled shipping to the Italy FBA running hundreds of thousands of units to Amazon FBA centers locally and internationally. We live and breathe Amazon FBA. With our one stop solution for your shipping to the Italy FBA, we also provide routine check and preparation needs. From rudimentary freight forwarding to complete inspections, we take care of all your shipping logistics, so you can place attention on other things that matters to your business. We have the workforce capable of handling and receiving shipments ranging from small sized cases to larger containers. We help you grow and scale without the need to hire a full warehouse team. We have inspection services that will meet every need. From basic exterior checks, to thorough part by part inspections. Receive / Unload, "Shipping To FBA" Services receive and unload the truck loads carefully and cautiously to our warehouse. However, the container load will be charged. General Inspection: We provide general inspection of boxes whenever we receive such forwarding and also the general product inspection. However, dependent on the nature of the products received, a charge would apply for extra technical inspections and whenever it gets to unloading the products or inspecting for broken parts and scratches. Shipping to the Italy use our professional air freight shipping services, Our this way can shipping the products which with batteries, but the battery power must less than 100 W. Label the batteries labes outside the battery. The air freight cost is USD 3.8/KG, at least over 300KG, if less than this weight, the cost please confirm with us. Including air freight, customs clear fees, and airport charges, doesn’t include delivery to Italy FBA charges and import duty. We suggestions use your Italy company’s accout pay the duy.